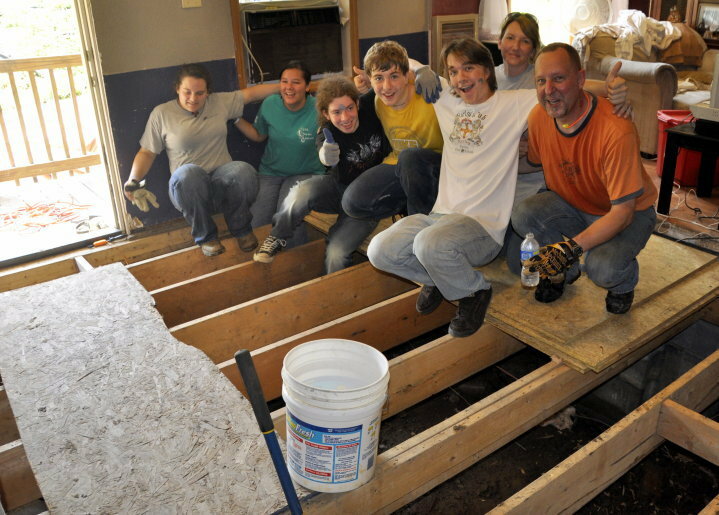 Ten of our youth and four adults are in Dickenson County, Virginia with the Appalachia Service Project. Becca Knight who is a member at FPC and on staff at ASP visited with them earlier in the week and took some pics. We have them on the website already. Here are our two teams. Samantha, Merrilee, Dylan, Rion, John, Shannon, and Dwain. Doesn't seem quite fair, does it? A view from an overlook in Wise County, Virginia. Well, as the old saying goes, there are Lies, Damned Lies, and Statistics. So a person who made a billion dollars paid fifty-two million dollars in taxes and the person who made twenty thousand paid seventeen hundred and sixty dollars. Doesn't seem so bad when you look at it that way does it? The problem is that both ways are skewed. The Billionaire, as the bible says, "paid out of their abundance" whilst the pauper paid out of their necessity. Although neither did it voluntarily. OK, so what's the solution? The only two I've heard generally proposed is A) remove more and more people from the tax rolls and/or B) enact Socialism and take from the rich and give to the poor. So, it's an Economics 101 exercise. Please review and discuss the problems with both of the above solutions. 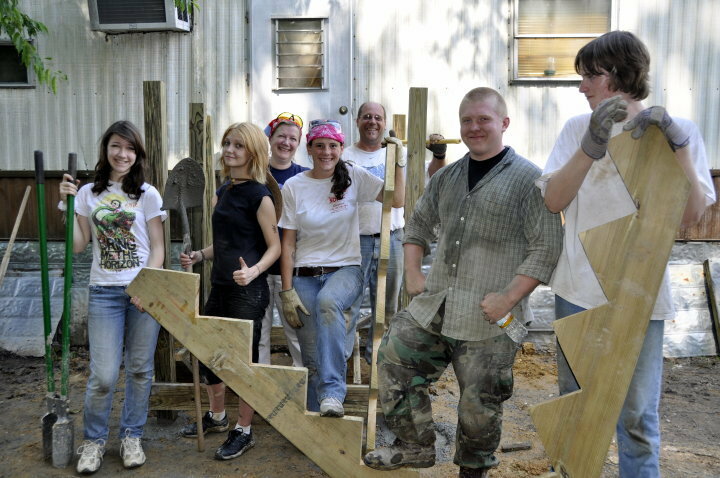 How about we just give this great group of young people a pat on the back for the work they're doing? Yes, it does seem so bad. 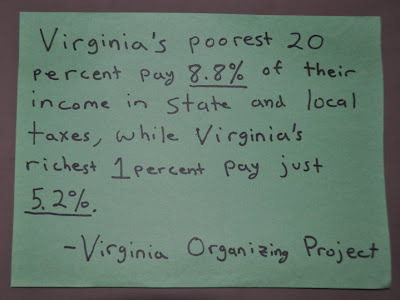 Here is a helpful page about poverty in Appalachia. With 72% of the surface land owned by people outside the region, local residents must compete with each other and with businesses and municipalities for the balance of the land. Yes, that is what this post was about! Same problem in poor cities up here. Chester PA doesn't collect enough property tax to pay for schools. They don't have enough books or teachers. The lack of teachers send the students to the auditorium to study for themselves with books they don't have. Just next door the district that includes Swarthmore has a great system with plenty of books and great teachers. 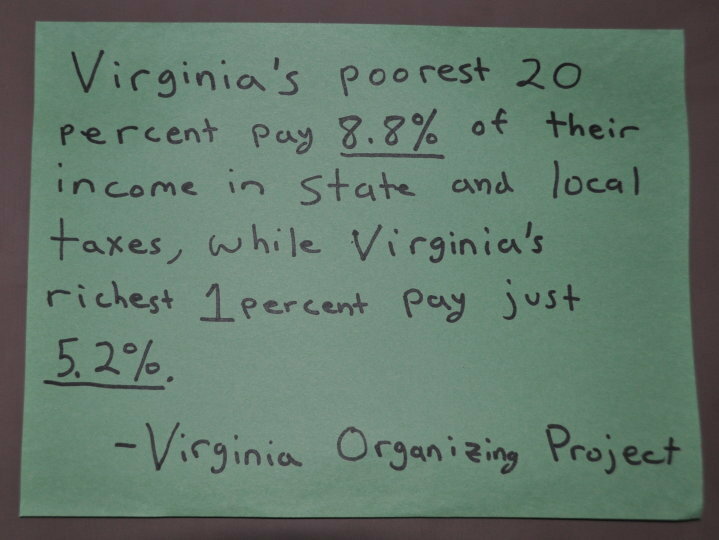 Maybe property tax should be statewide and paid according to the number of students and not locally? Oops, that system is a mess in CA. Besides I think it makes me a socialist. Man that last picture is gorgeous! And the second to the last picture breaks my heart.